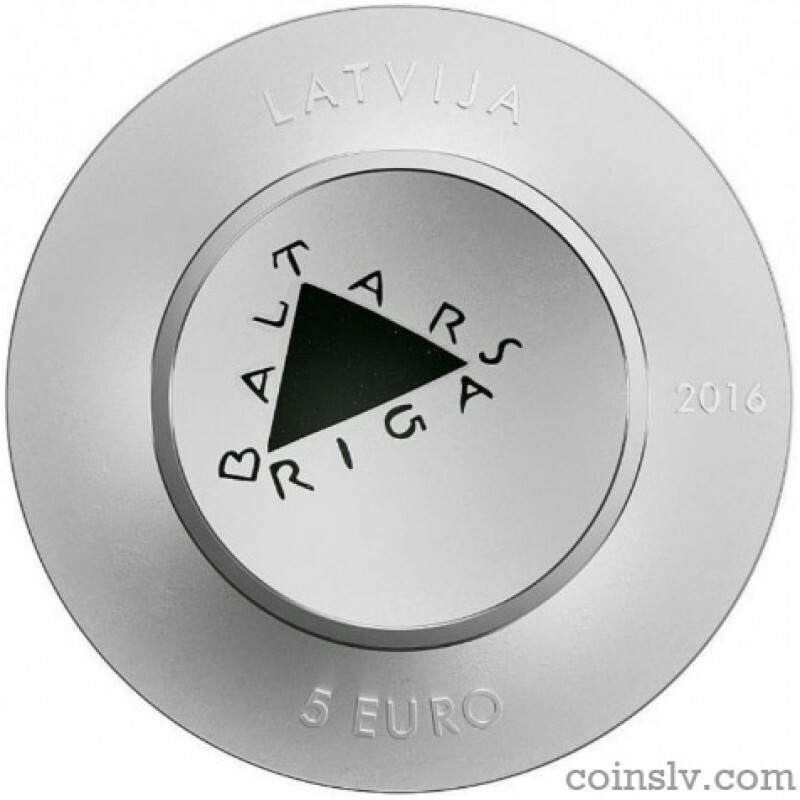 Latvia 5 euro 2016 ""Baltars". 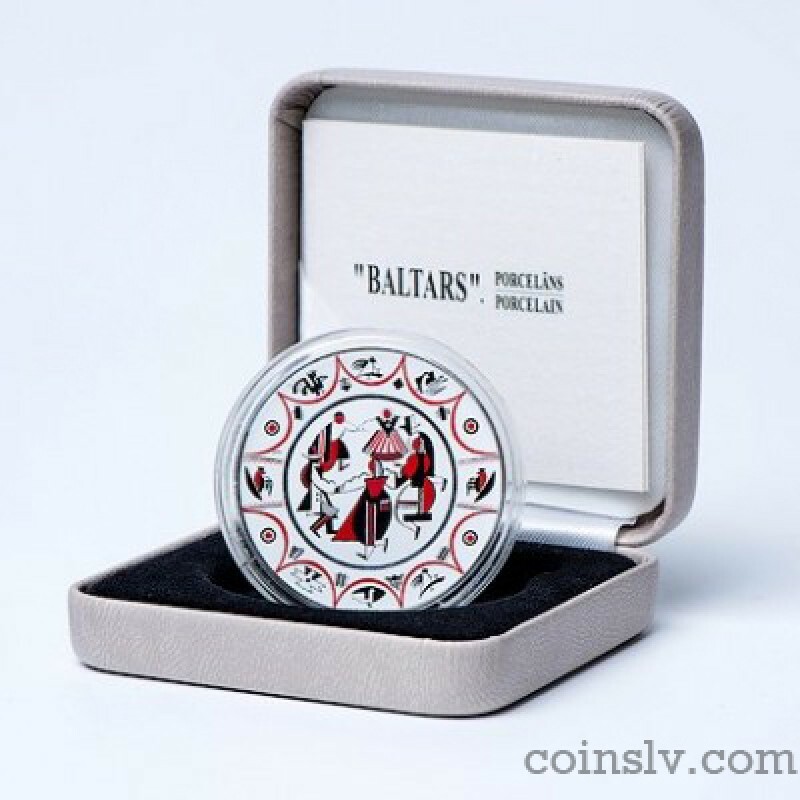 Porcelain"
Obverse: The graphic sign of "Baltars" is placed in the centre of the obverse. 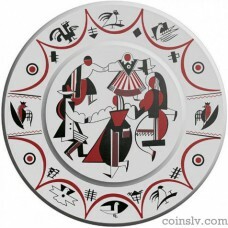 It is semi-circled by the name LATVIJA and the inscription 5 EURO at the top and bottom respectively, with the year 2016 featured on the right. 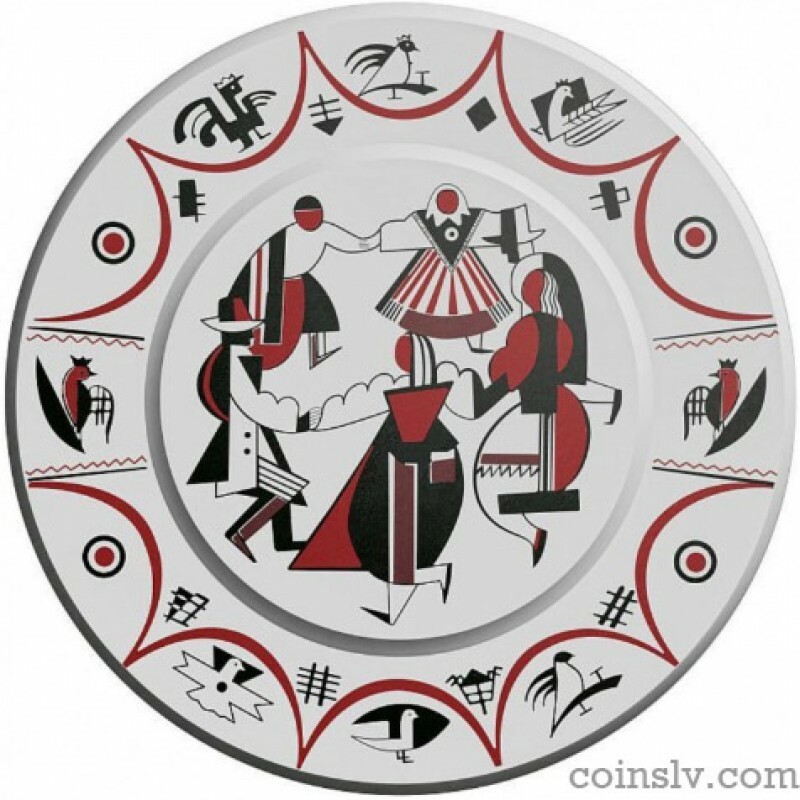 Reverse: The reverse shows the reproduction of plate "Dance" by Romans Suta (1927); the coin is struck in the shape of a flat plate.